Please don’t misunderstand me, I am not commending the Devil in any way, but there are three characteristics of our enemy that can have positive applications. What I mean by that is, he is pretty smart at what he does. He has obviously studied the Scriptures diligently and is very clever at twisting God’s Word to suit his own agenda. 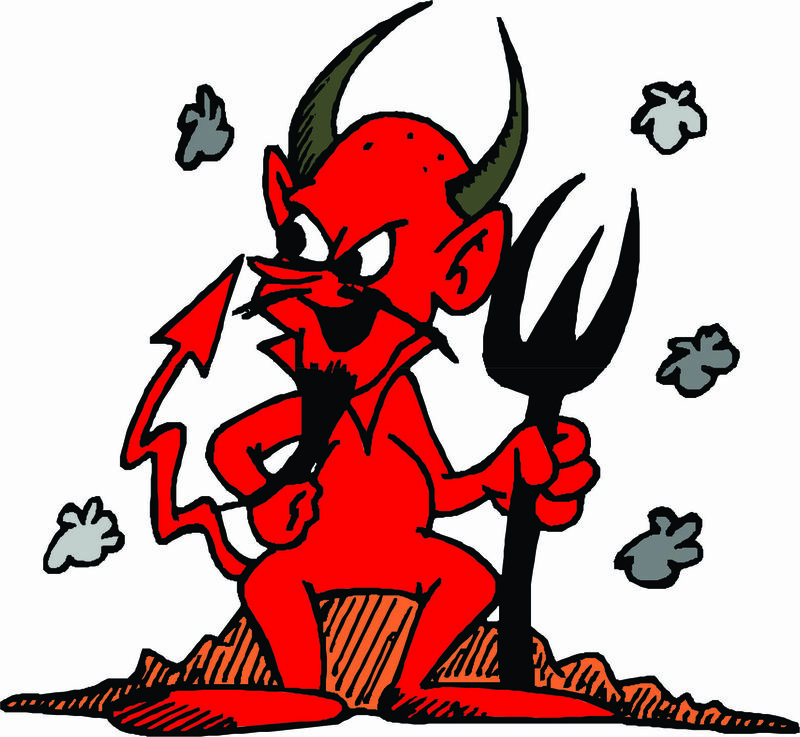 Any time you have the Devil, or one of his allies, quoting Scripture – watch out! If only present day Christians had the working knowledge of the Scriptures that the Devil does, we wouldn’t fall for his schemes nearly so often. He knows our weaknesses. He has apparently studied mankind for thousands of years, and he knows how to get to our weak spots. He has gotten serious “shots” in on God’s greatest men, and has brought down many of God’s mighty warriors. We must never think that we can out-wit or out-smart the Devil. He will get us every time. He is not to be played with, but simply resisted. Don’t underestimate his ability to trip us up and destroy our lives. His tenacity is overwhelming. The Devil absolutely will not quit. He’ll come back after you again and again and again. We must never be fooled into thinking we have resisted the Devil “once and for all.” His assaults will continue throughout our time here on the earth. Notice in Scripture that many of Satan’s victories over God’s men have been in their later years. David was most likely in his 50’s when he committed adultery with Bathsheba, Jonah & Balaam were both seasoned prophets when they compromised & disobeyed God. We must never think we have outgrown the Devil’s attacks or that we are so strong spiritually that we are no longer susceptible to his devises. Without a doubt, the Devil is one of the hardest working beings in all of history. He never takes a vacation, never takes a day off, works at foiling God’s will 24 hours a day, 7 days a week. Thus, we must never let our guard down. We must be sober and diligent, because our adversary, the Devil is hard at work, doing everything he can to bring shame and reproach to the name of Jesus. Do not interpret the above statements to indicate any favorable attitude on my part toward Satan. He is a liar, a murderer, and the ultimate blasphemer, nevertheless, we must be aware of these three characteristics of Satan, and perhaps seek to incorporate them into our service for the Lord and the Gospel. Don’t let the Devil get the victory in your life!! How would Facebook change if you could frequently “Dislike” others’ posts, pictures, and opinions? I’m not sure I know the virtual answer to that question, but I do know that the “dislike button” is definitely well-used in the real world-especially in leadership. How do we provide tenacious and tender leadership in the arena of criticism?